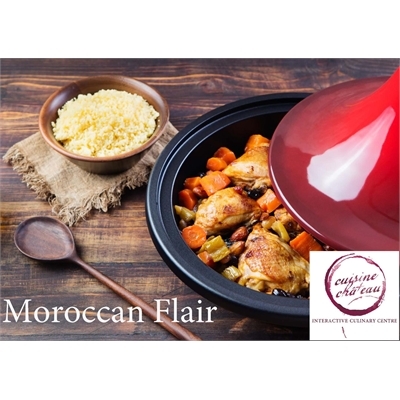 From couscous to tagine, learn the essentials of a simple yet exotic Moroccan meal. Practice your skills and create your own customized spice blend under the watchful eye of our professional chef. This class includes a recipe book, a three-course meal with wine sampling or a non-alcoholic beverage, and take home your own box of authentic Persian saffron (1 gr)!